Last weekend the whole family had an extra day off. 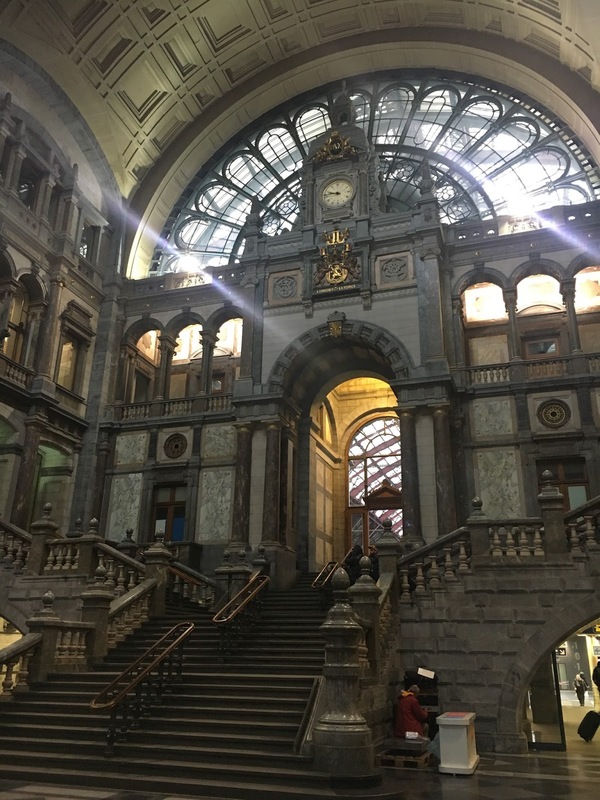 We decided to take advantage of it (and my international driver's license) and take a little road trip to Antwerp. 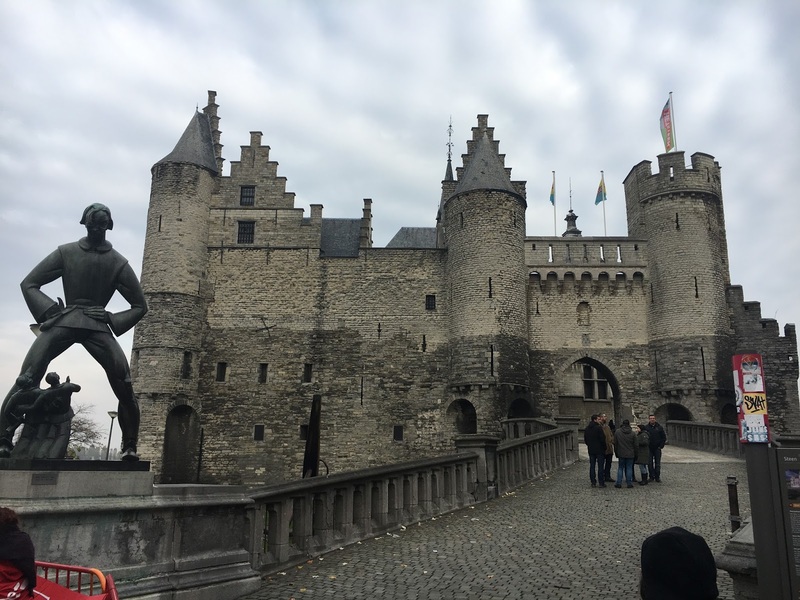 We chose Belgium because we wanted to visit a new country and it was only a four-hour drive away. 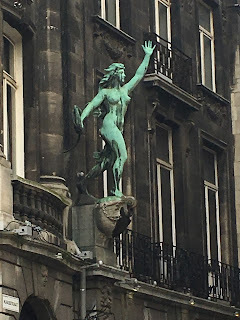 It would be too far for a day trip, but it's a fairly small city so there was just enough to see in two nights without being overwhelmed by choices. The photo above is the Grote Markt Square at night. 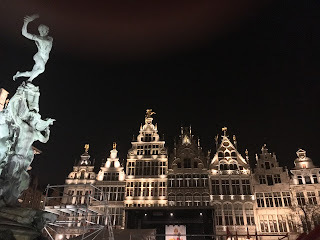 You can see the beautiful baroque architecture of the guildhalls and the statue of Brabo on the left. 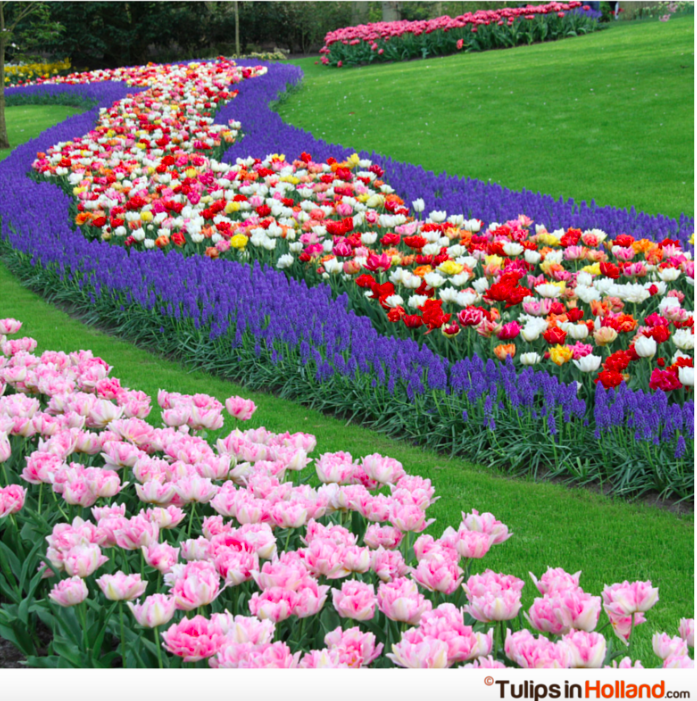 It's really beautiful and it was only a short walk from our hotel. 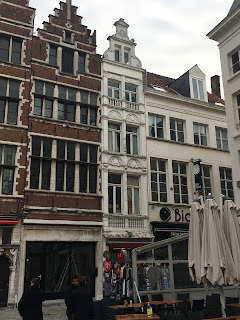 Our hotel was in the center of the oldest part of town, on the Grote Plaats. That's the Cathedral of Our Lady, which dates from the 1300s. 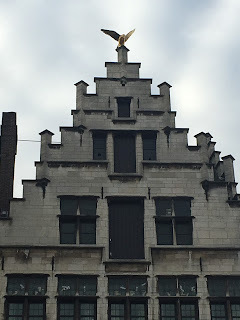 There are beautiful sculptural details on the buildings everywhere in the old town. A lot of the old buildings have these little stair-step facades. I don't know what they're called but they have them in Germany and the Netherlands also. 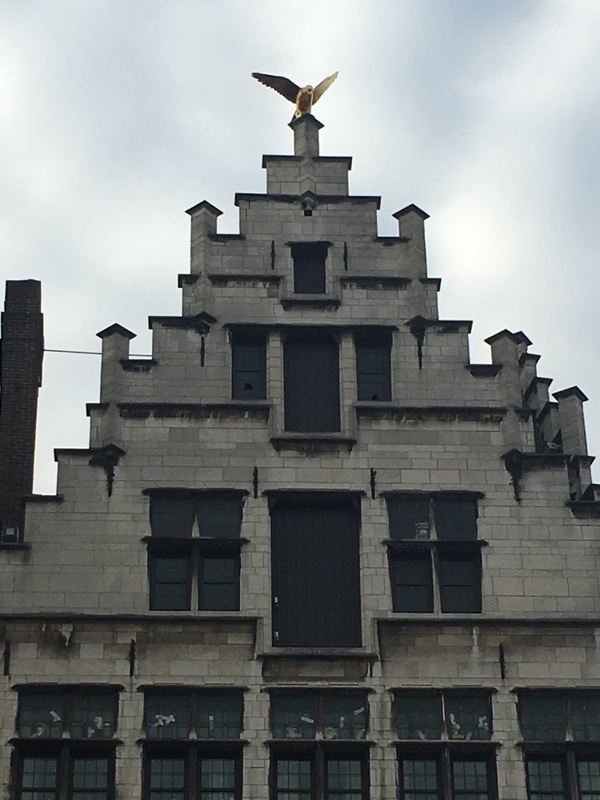 Some of the buildings also had gilded statues on top as well. 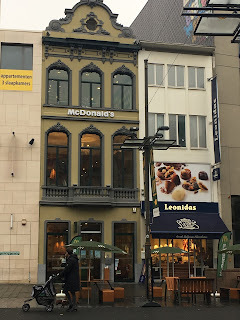 Some of the buildings are incredibly narrow, like the white one in the middle here, also in Grote Platz. There are also lots of tiny narrow alleys and winding side streets which reminded me a little bit of Venice, but without the canals. 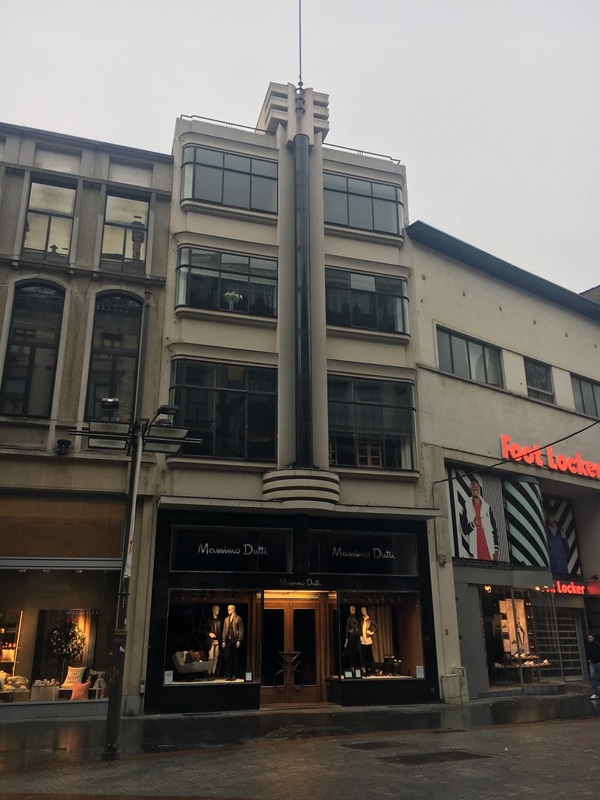 This building is much newer and it has a really beautiful art deco facade. 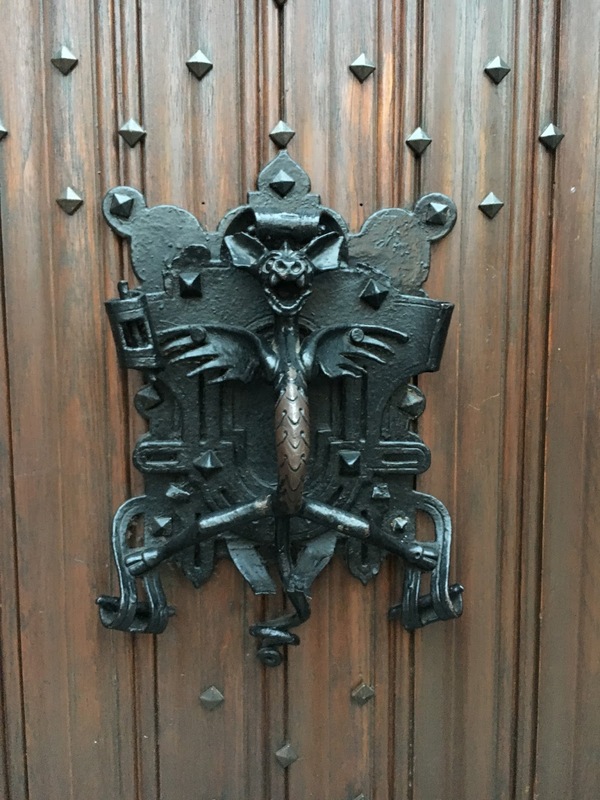 I loved this door knocker that looks like a little dragon. This was right on the main square. The Het Steen, the old city fortress on the waterfront and the oldest building in Antwerp. That's a statue of the giant Lange Wapper in the foreground, lower left. 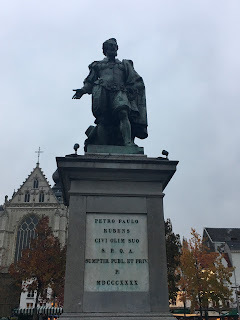 There are lots of statues all over Antwerp. Here's one of the city's most famous resident, the artist Pieter Paul Rubens who lived and worked in there in the early 1600s and was a very successful artist His house is beautifully preserved, right in the middle of the city. I'm not a huge fan of that art period but it was very interesting to see the historical context. 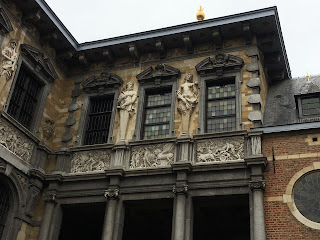 The house also has art by Rubens and his contemporaries, including his student Jan Van Eyck who also became very famous. You can visit Ruben's house though I didn't take any photos inside (too much artwork, I was afraid to ask). There's a beautiful garden courtyard in back which is probably stunning in the spring. I took this photo of the back of the house from the courtyard. If you enlarge the photo you can see the amazing detail. 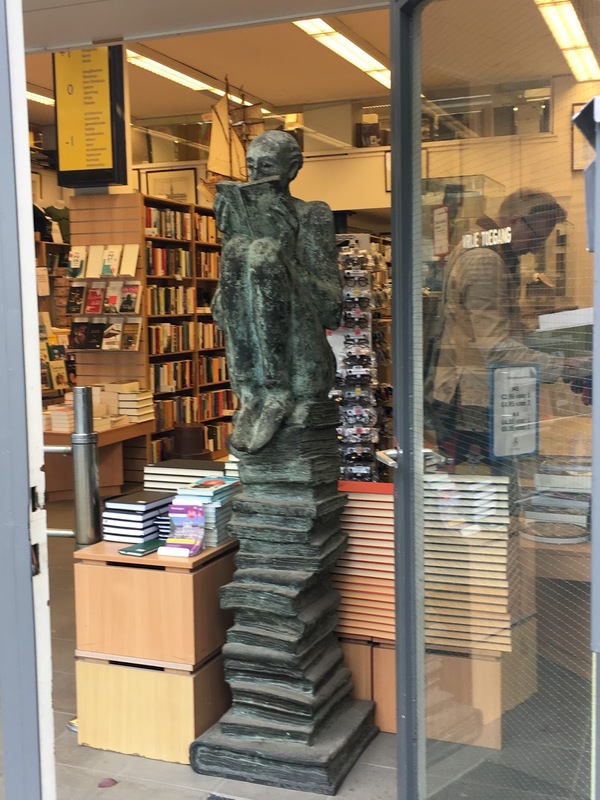 We found a nice bookstore right next to the Rubenshuis Museum. 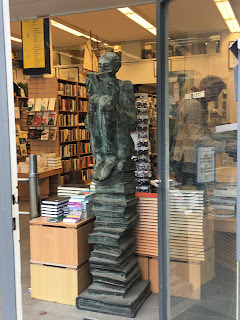 They had a nice selection of used books in English and I picked up a few bargains (more on that in another post!) I loved this sculpture just inside the front door. 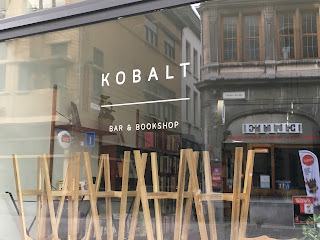 There are lots of bars and restaurants in the old town, but my favorite was this combination bar and bookshop! I passed by in the morning before it was open and didn't have time to go back, but I think it's great. 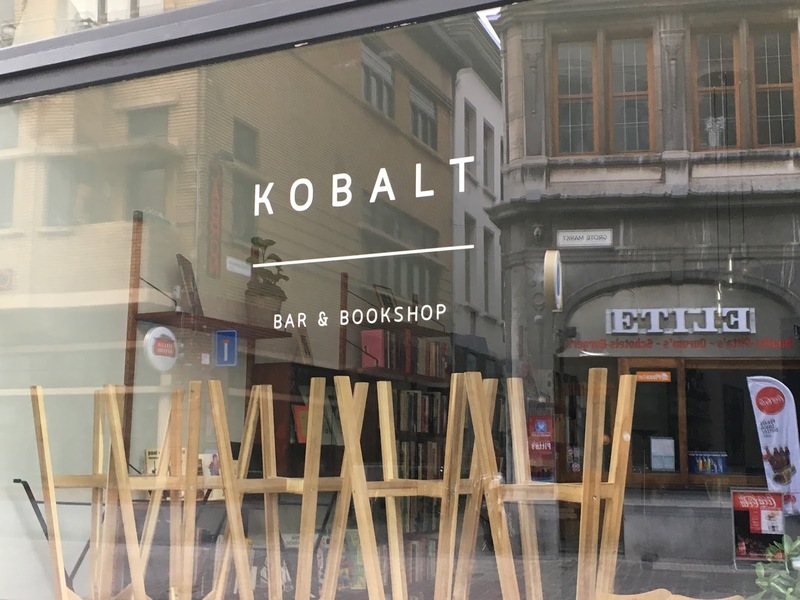 I peeked inside and it looks like there were some shelves of used books for sale and a very laid-back place to hang out, read, and have a drink. Of course I had to have an authentic Belgian waffle! 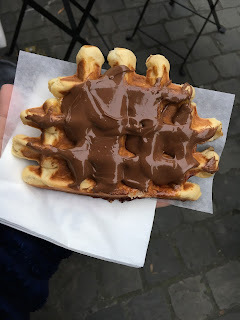 This one was covered in Nutella. Even the McDonald's was in a beautiful old Baroque building (no, I didn't eat there). 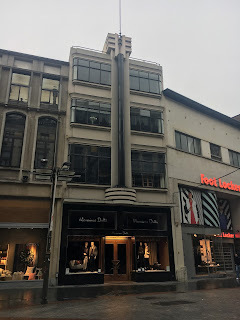 And that's a chocolate shop right next door -- there were at least four chocolate shops in the mile-long walk from the old town center to the train station. (Also plenty of beer if you prefer it). The interior of the beautiful train station -- it reminded me a little of NewYork's Grand Central, but much smaller. And there's a park with a zoo on the other side! 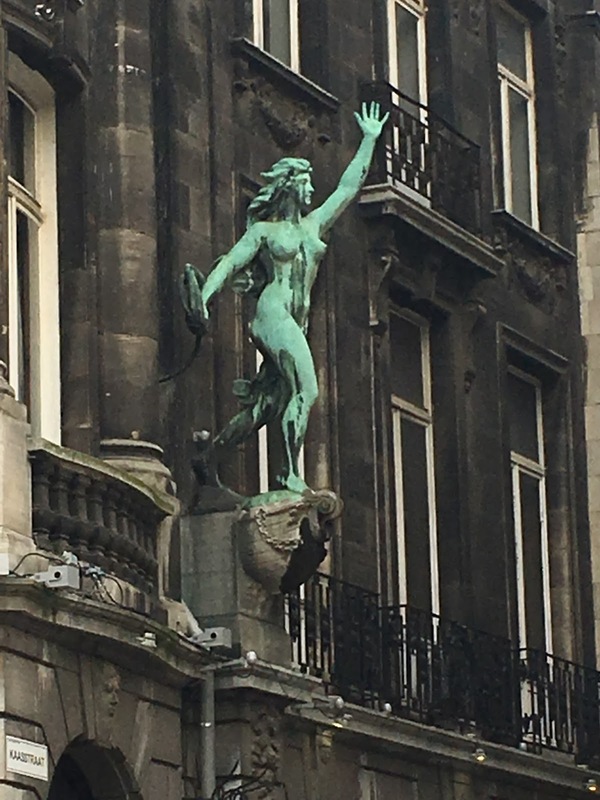 I loved Antwerp -- the people were lovely, nice shops and restaurants, and plenty to do and see if you're only there for a few days. 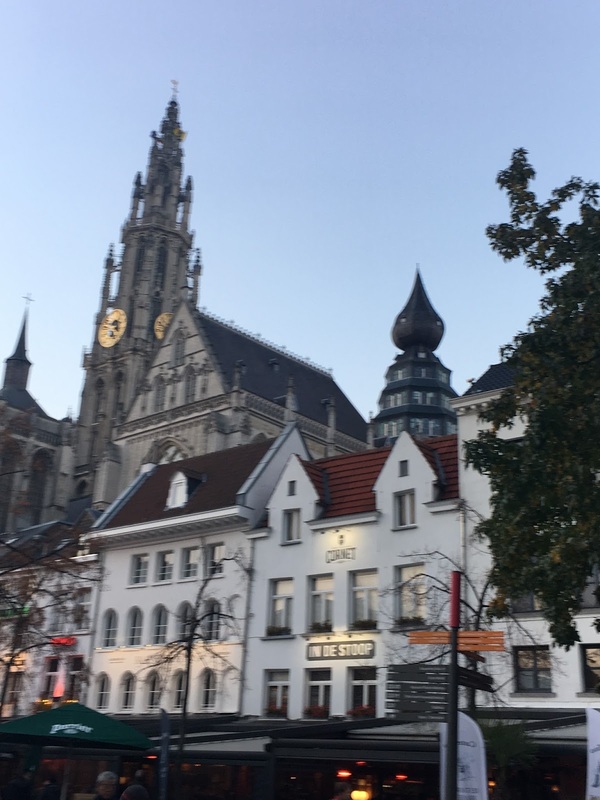 I would definitely go back and I want to see more of Belgium including Bruges and Brussels. And I still haven't written my post about all the books I've bought so far in Europe! But that's another post. 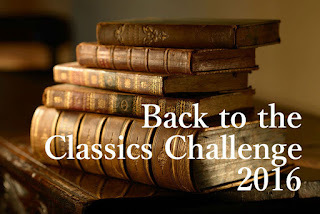 I'm getting near the end of the Back to the Classics Challenge and I'm much farther behind than I planned. The other day I was looking for a good short book and I decided it was time to read something in translation. 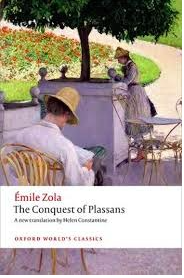 It had been more than two years since I read anything by Emile Zola so I chose The Conquest of Plassans -- partly because it was short; partly because it was French; and partly because I loved the cover (and I've actually seen the original painting from that edition, The Orange Trees by Gustave Caillebotte. It's at the Museum of Fine Arts in Houston). So. Set in the provincial town of Plassans in Provence, this is the story of Abbe Faujus, a mysterious clergyman who arrives in town with his mother and rents rooms from the Mouret family. Monsieur Francois Mouret is related to the Maquarts, and his wife, Marthe, was a Rougon. 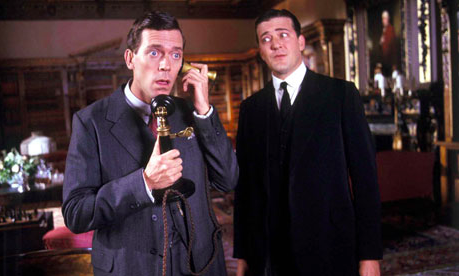 There are a lot of gossipy characters with nothing much to do other than speculate about the lives of their neighbors. Somehow Abbe Faujus manages to say very little about himself and yet others start talking to him and spill all kinds of secrets. Eventually Faujus is able to gain the trust of the townspeople and local church hierarchy. He begins to claw his way to the top politically and socially and gain power over many of the locals, some of whom don't appreciate his influence. In particular, Francois Mouret becomes jealous and suspicious regarding the influence Faujus has over his wife Marthe, who becomes incredibly pious and obsessed with religion. Meanwhile, Faujus shady sister Olympe and her ne'er-do-well husband also arrive in town and threaten to expose all kinds of family secrets. They ingratiate themselves in the Mouret household which doesn't bode well. This being a Zola novel, a lot of these characters are basically train wrecks. 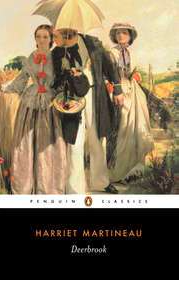 The Conquest of Plassans is the fourth in Zola's Rougon-Macquart cycle, and the eleventh of the series I've read so far. 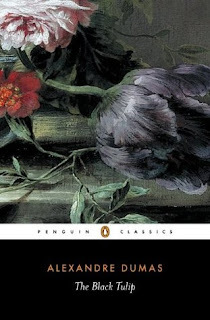 Normally I tend to read series books in order, but when I started reading Zola about five years ago, some of the earliest books in the series weren't available in good English translations. 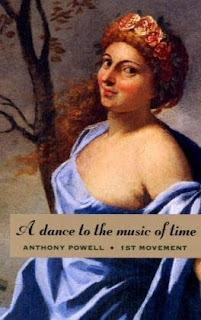 (Luckily, Oxford World's Classics has been publishing excellent translations, like the one I read). I'd heard that most of the books are really stand-alone novels that are loosely linked. 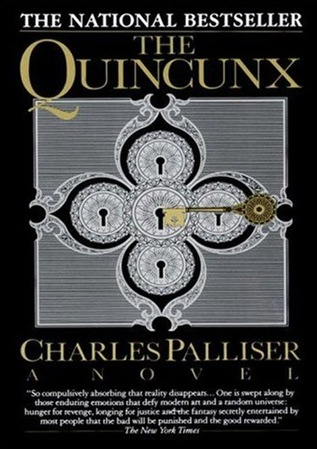 I'd already read the second and third novels, which are set in Paris, but this novel is set in Plassans, which is also the setting of the very first novel in the series. There are a lot of references to events from the first book especially in the endnotes. If you don't want any spoilers for the first novel, I would definitely recommend reading it before you read this one -- I was really regretting not having read The Fortunes of the Rougons first, especially since my library in Texas owned a copy. But buying a copy of the first book from Amazon didn't seem practical since the mail takes longer now that I'm overseas. 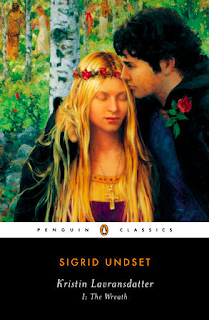 This book was OK but it won't rank with my favorites in the Rougon-Macquart series. I think some of his later books are really better. This one felt like it was kind of all over the place plot-wise. 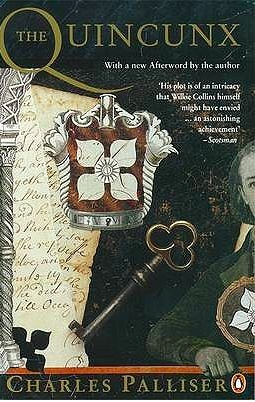 There's a whole sub-plot about political intrigues that basically went over my head, and I don't know if I just wasn't paying close enough attention, or if I should have done more research about the Second Empire, but either way I found it confusing. 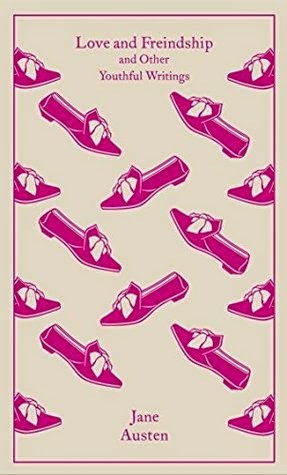 In general, I thought the drama centered around the families was the strongest part of the book, but I tend to enjoy stories about domestic life. I also didn't like the way most of the female characters were portrayed. To be fair, the male characters were also awful, and Zola is a product of his time, but a couple of the women's portrayals were pretty sexist and made me really uncomfortable. 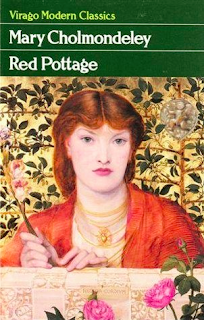 I think in a way I put off reading this book because my last experience with Zola was not great -- a lot of people love Nana, but I really disliked it and it kind of put me off Zola for a while. I'd read ten of his books and I think I was worried that I'd read all the good ones already and the rest would be disappointing. Maybe there's a reason that some of Zola's novels don't have many good English translations. And in general, is it better to read an author's best work first, or should you save it for last? Bloggers, what do you think? I'm counting this as my Classic in Translation for the Back to the Classics Challenge. 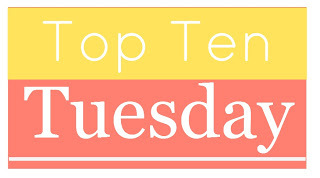 I don't write that many Top Ten Tuesday posts but I couldn't resist this one -- some of my happiest reading experiences have been with book groups and I've always found book groups to be the best ways to find kindred spirits. I've been in many book groups and it's always fun to throw in a classic every once in awhile. I've been pleasantly surprised by classics that I thought I would absolutely hate. 1. 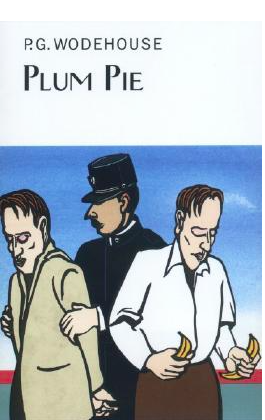 Germinal by Emile Zola. By far, one of the classics that has had the greatest impact upon me as a reader. 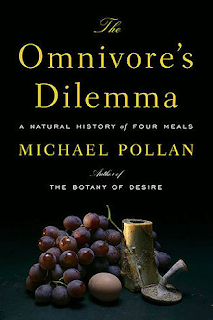 I'd read a couple of books by Zola but Amanda from The Zen Leaf suggested our real-life classics book group read Germinal and I understood what all the fuss was about. It's amazing. 2. In Cold Blood by Truman Capote. Even though true crime really creeps me out, the writing is just masterful. 3. Their Eyes Were Watching God by Zora Neale Hurston. This is short, but powerful, and it speaks to so many women. Some of it is in dialect but it's a really easy (and short) read. 4. 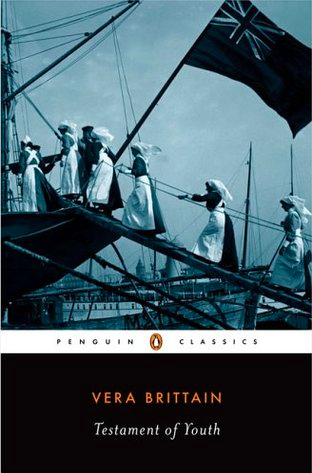 The Good Earth by Pearl S. Buck. I think I've read this with three different book groups, and it's been a hit every time. Set in China between the wars, the themes about family dynamics are universal. 5. The Painted Veil by W. Somerset Maugham. 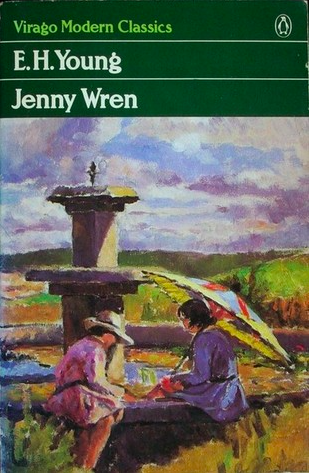 Another book set in China, but very different from The Good Earth. Kitty Fane is the spoiled, self-centered wife of a doctor working in 1920s Hong Kong, and after her husband realizes she's been unfaithful, he takes her to the Chinese countryside so he can treat a cholera outbreak. 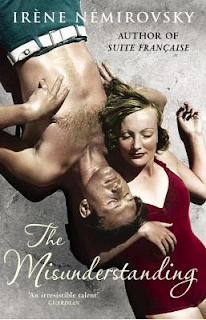 It's tragic and beautiful, and one of Maugham's beat (also a great movie adaptation). 6. Main Street by Sinclair Lewis. I finally finished this a couple of months ago and I so wish I could discuss it with a book group! Young and idealistic Carol Kennicott moves from Minneapolis to a small Minnesota town and thinks she can uplift and elevate the locals. 7. Mildred Pierce by James M. Cain. Not so much crime noir as you'd think, this is the story of a really twisted relationship between a working-class mother trying to pull herself up by her bootstraps to impress her ungrateful daughter. They put the fun in dysfunction! I chose it for a book group simply because the library had enough copies and it one of the group's top reads of the year, I can't stop recommending it. 8 & 9. Ethan Frome or House of Mirth by Edith Wharton. 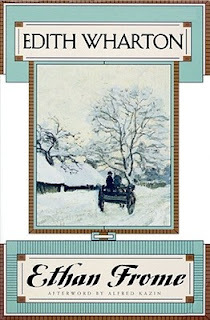 Ethan Frome is shorter but House of Mirth has Lily Bart, one of literature's most tragic heroine. They have totally different settings but both of them are about the futility of loving the wrong person. 10. The Heart is a Lonely Hunter by Carson McCullers. I'd never had any desire to read this but it was for a book group. 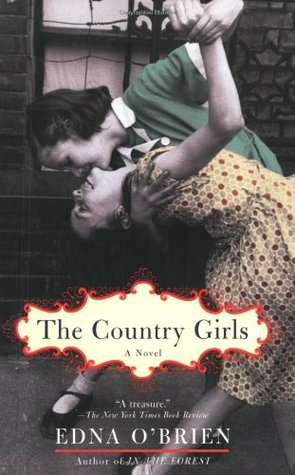 I was blown away by the beautiful writing and themes of this book about a group of misfits living in a boarding house in a small Southern town. This would be a great choice for a book group that's already discussed To Kill a Mockingbird. 11. 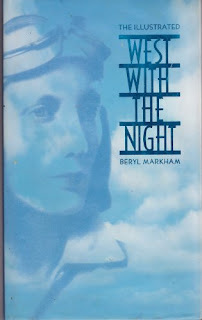 West with the Night by Beryl Markham. 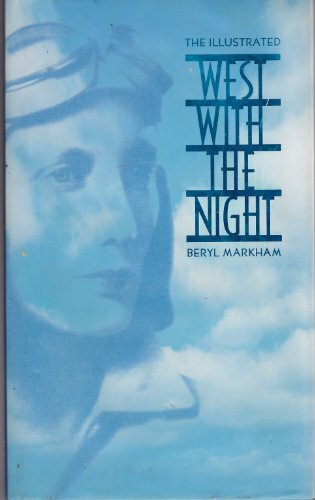 An amazing memoir by an aviatrix raised in Africa, she was a contemporary of Isak Denisen, Denys Finch-Hatton, and Ernest Hemingway. The writing is just beautiful. There's also a beautiful illustrated edition with lovely photos. 12. A Tree Grows in Brooklyn by Betty Smith. I was nearly done with the list and I realized how tragic most of them are! A Tree Grows in Brooklyn has sad elements, but it's a beautiful and uplifting book. I didn't read it until I was grown up and I am so sorry I waited! And I can't believed I left out Steinbeck, Dickens, and Hardy! If I don't stop now the list will be twice as long. 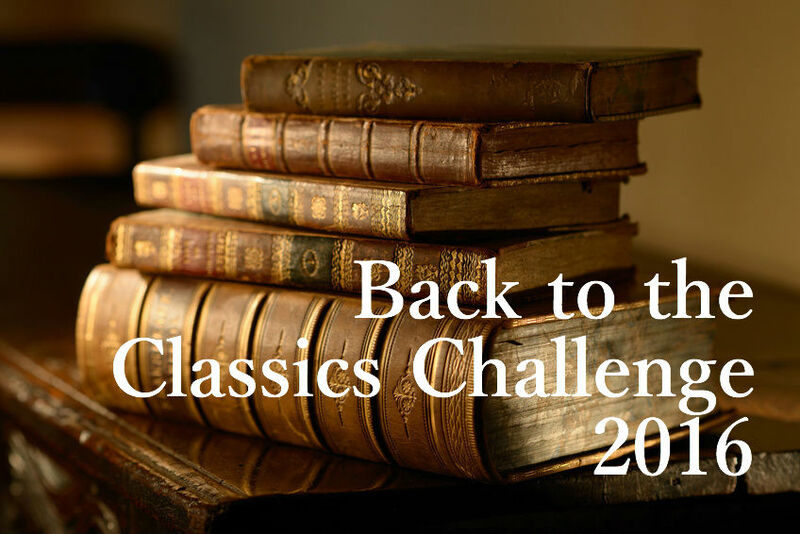 Bloggers, which classics would you recommend for book groups? Please let me know in the comments. 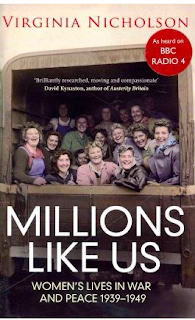 Millions Like Us: Women's Lives in War and Peace by Virginia Nicholson. I always love reading about the war on the home front. I've barely started this one so I hope to get back to it soon and really make a dent. 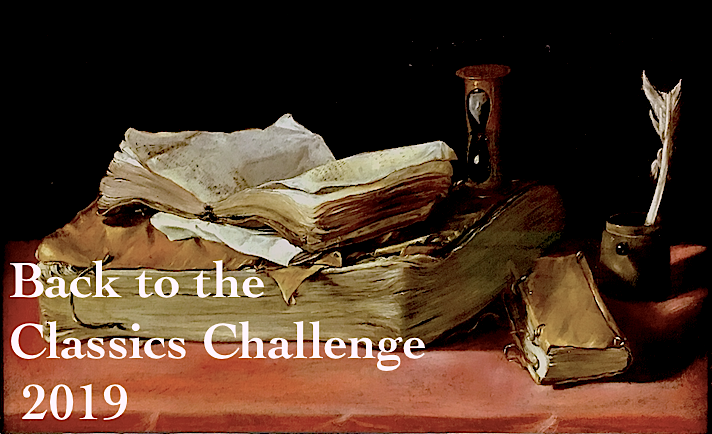 I loved Nicholson's book Singled Out which I read a few years ago for the TBR Pile Challenge. 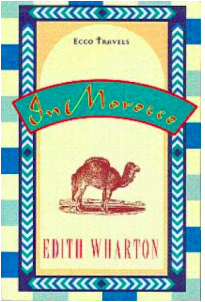 In Morocco by Edith Wharton. 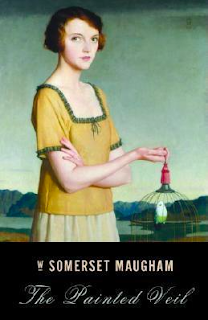 I do love travel writing and Edith Wharton is one of my all-time favorite writers. I'd never read any of her nonfiction before but this is available for a free e-book download so I've had it on my phone for awhile. I started reading it the other day while on line in the post office and it's very good. I've always dreamed of visiting Morocco so this should be a win-win. I only wish there were images of her travels! The Omnivore's Dilemma by Michael Pollan. This is the November selection for a book group I recently joined at my library so this fits in well with my fall reading plans! 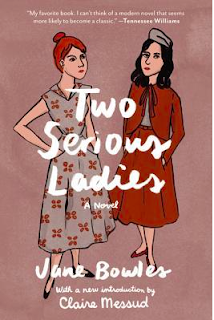 I really want to read this one because I have not finished the last two book selections for the group -- I fear I may get kicked out if I don't finish the next one! 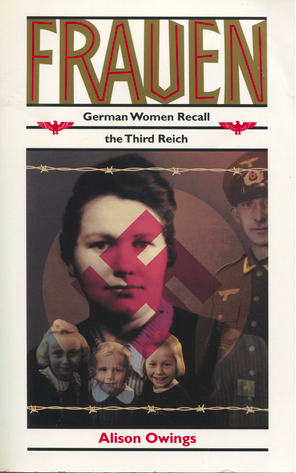 Frauen: German Women Recall the Third Reich by Alison Owings. I found this on the the shelves of my library over a month ago and haven't touched it. Our library doesn't have a huge selection but there's a lot of books about WWII. This would be a really nice contrast to Nicholson's book about the British home front. 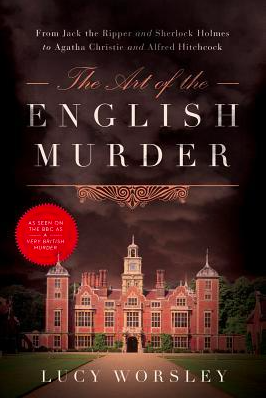 The Art of the English Murder by Lucy Worsley. 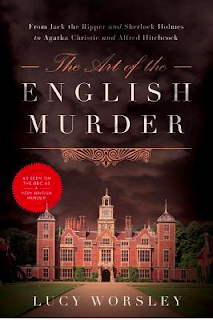 There are few things I love more than a great murder mystery, and the English do it so well. Sounds perfect for reading on a chilly November evening. Of course I have lots more nonfiction books on the TBR shelves (and my TBR list!) but if I get all five of these read in the next month I'll be really pleased with myself. 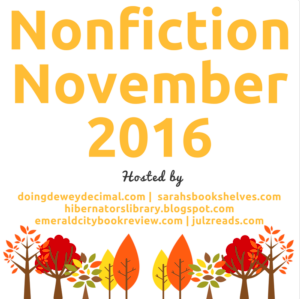 Bloggers, anyone else reading nonfiction in November? What are you reading? And do you recommend any of these? Please let me know in the comments!